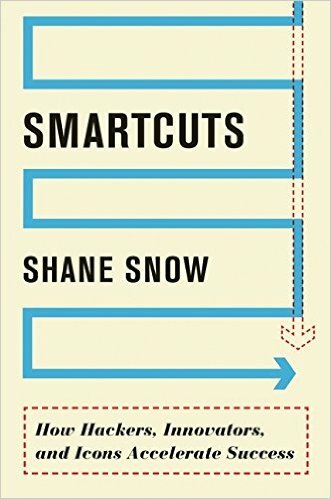 In Smartcuts: The Breakthrough Power of Lateral Thinking Shane Show presents his ideas for her you can shortcut your way to success by working smarter, not harder. He starts by taking about the video game Super Mario. How did his friend turn the record time for completing the game from 30 minutes to 6? He used the tubes that the game designers put in for easier testing. Whether or not this is relevant, I’m not sure. But who doesn’t love Super Mario? Lateral thinking plays a part. For example, Great Ormond Street wanted to reduce the number of children who were dying (not that it was loads, but ideally you want it to be none). So they brought in the Ferrari Formula One pit crew. They learnt how Ferrari work seamlessly as a team and took lessons from it. Snow argues that being the prime mover is not that important. According to his figures, only 11% first movers stay ahead in the long term. This is because fast followers can copy what has come before and are not held back by the initial technical problems. He also makes a case for pattern spotting. The best surfers spend a long time learning to spot the perfect wave so that when it comes, they know which one to hit. Similarly, as an entrepreneur, you need to be able to spot the best opportunities so that you can ride the wave of success without wasting time on those that will take you nowhere. Mentoring is also important. Find someone who has the success you want, and get their advice. It’s an interesting read, but I’m not sure I took a huge amount away from it. I normally have a lot of notes at the end of a book, and I didn’t have a huge amount from Smartcuts. But maybe I just need to re-read it to take it all in.